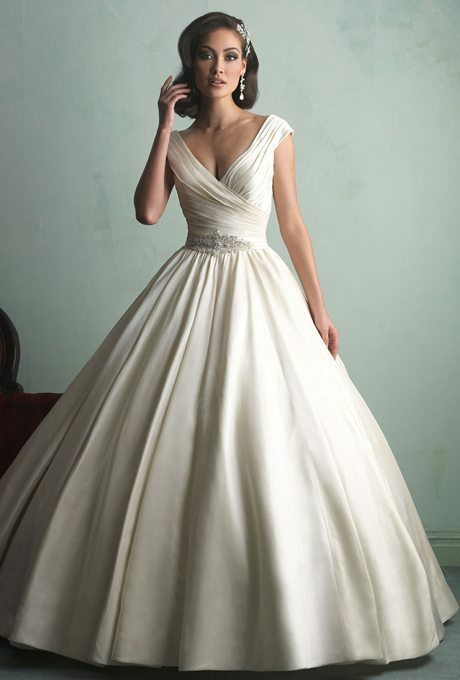 Feel like the bride you’ve dreamt of in one of these classic, sophist acted ballroom wedding gowns. It doesn’t matter your age, size or shape – whether it’s your second marriage, vow renewal or first time walking down the aisle – you deserve it! There’s a bit of Audrey Hepburn peeking out of this beauty. We are loving the texture and golden-hue of these beautiful, versatile design. Traditional, yet modern with a contemporary flair, this dress moves and feels very bridal. Cinch at the wait and a beautifully detailed corset, try it on at the very least! There’s a bit of an elegance and vintage spirit behind this ballroom gown. Feel like a traditional, princess-styled bride in this classy, timeless piece. Did someone call Grace Kelly, because I think she’s behind the inspiration of this one. 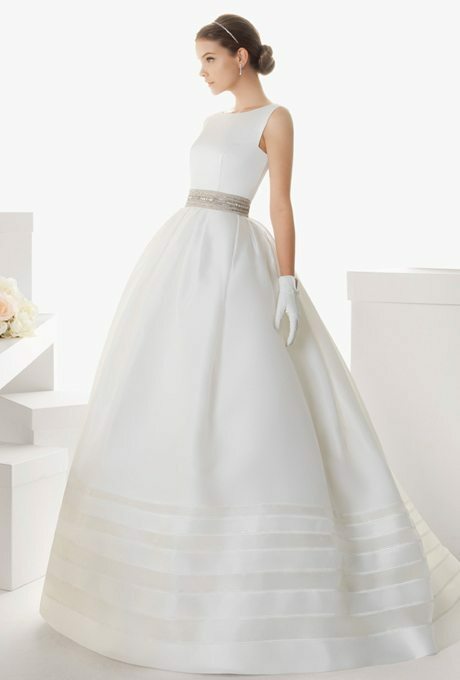 A unique take on the classic ball gown, we love the layers and neckline of this design. 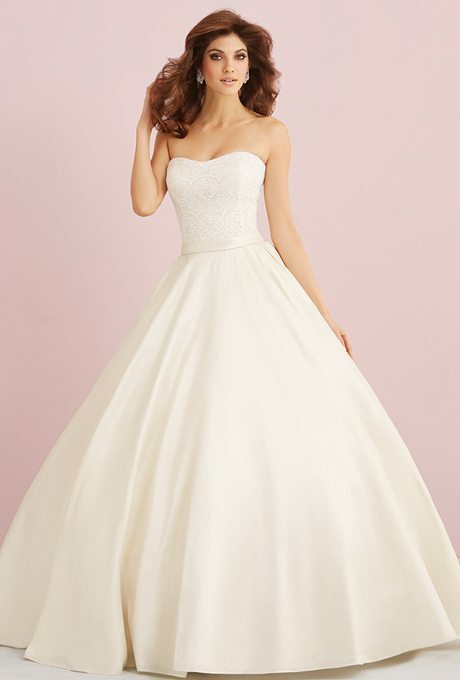 Textured ball gowns are my favorite and this is at the top of the list! The peekaboo neckline is elegant and trendy, but the dress has movement and a youthful, bridal spirit.